Rottnest Island, Western Australia.. John Huisman. © John Huisman (j.huisman@murdoch.edu.au). Spiddal, Co. Galway, Ireland; rocks at MHWN. 18 Apr 2002. Michael Guiry. © Michael Guiry (mike.guiry@nuigalway.ie). Spiddal, Co. Galway, Ireland; pools at MHWN. 22 Mar 2002. Michael Guiry. © Michael Guiry (mike.guiry@nuigalway.ie). Finavarra, Co. Clare, Ireland; MLWN rocks. 08 Aug 2002. Michael Guiry. © Michael Guiry (mike.guiry@nuigalway.ie). Cape Perpetua Oregon, U.S.A.. 13 Jun 2003. Michael Guiry. © Michael Guiry (mike.guiry@nuigalway.ie). Spanish Point, Co. Clare, Ireland; lower intertidal mussels. 04 Aug 2004. Michael Guiry. © Michael Guiry (mike.guiry@nuigalway.ie). 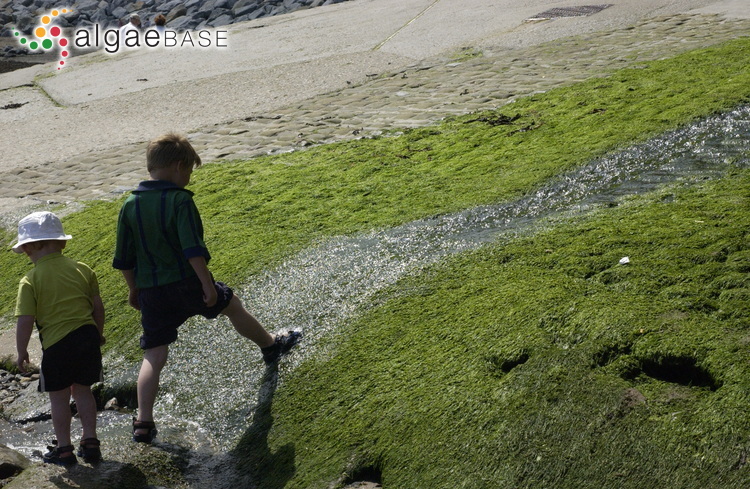 Robin Hood's Bay, Yorkshire, England; plants at high water where freshwater is being discharged onto the shore. 02 Jul 2002. Michael Guiry. © Michael Guiry (mike.guiry@nuigalway.ie). Silver Strand, Co. Galway, Ireland; fisheye lens. 01 Sep 2007. Michael Guiry. © Michael Guiry (mike.guiry@nuigalway.ie). Black Hd., Co. Clare, Ireland; upper-shore sandy rock. 16 Mar 2006. Michael Guiry. © Michael Guiry (mike.guiry@nuigalway.ie). John et al. (2004) cite E. intestinalis (L.) Nees, subsp. compressa De Silva & Burrows as a synonym of this species. English: Thread Weed, Tape Weed (Bunker et al. 2010). Swedish: Tarmalg (Tolstoy & Österlund 2003). Type locality: "Habitat in Europae mari & tectis maritimis" [Probably Bognor, Sussex, England] (Hayden et al. 2003: 289). Lectotype: Dillenius (1742: pl. 9: fig. 8) (epitype) OXF (Hayden et al. 2003: 289). Notes: Northern Europe (Lipkin & Silva 2002). Hayden, H.S., Blomster, J., Maggs, C.A., Silva, P.C., Stanhope, M.J. & Waaland, J.R. (2003). Linnaeus was right all along: Ulva and Enteromorpha are not distinct genera. European Journal of Phycology 38(3): 277-294. Kraft, L.G.K., Kraft, G.T. & Waller, R.F. (2010). Investigations into southern Australian Ulva (Ulvophyceae, Chlorophyta) taxonomy and molecular phylogeny indicate both cosmopolitanism and endemic cryptic species. Journal of Phycology 46(6): 1257-1277. Krupnik, N., Rinkevich, B., Paz, G., Douek, J., Lewinsohn, E., Israel, A., Carmel, N., Mineur, F. & Maggs, C.A. (2018). Native, invasive and cryptogenic Ulva species from the Israeli Mediterranean Sea: risk and potential. Mediterranean Marine Science 19(1): 132-146, 10 figs. Miladi, R., Manghisi, A., Armeli Minicante, S.. Genovese, G., Abdelfkafi, S. & Morabito, M. (2018). A DNA barcoding survey of Ulva (Chlorophyta) in Tunisia and Italy reveals the presence of the overlooked alien U. ohnoi. Cryptogamie Algologie 39(1): 85-107. Steinhagen, S., Barco, A., Wichard, T. & Weinberger, F. (2019). 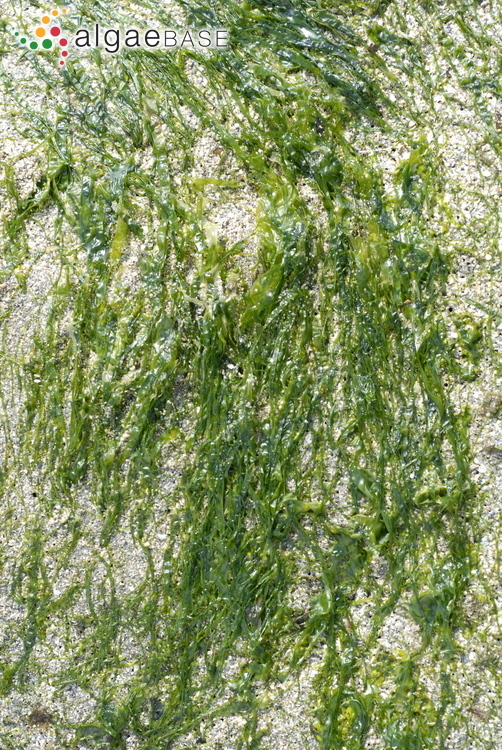 Conspecificity of the model organism Ulva mutabilis and Ulva compressa (Ulvophyceae, Chlorophyta). Journal of Phycology 55(1): 25-36. Steinhagen, S., Weinberger, F. & Karez, R. (2019). 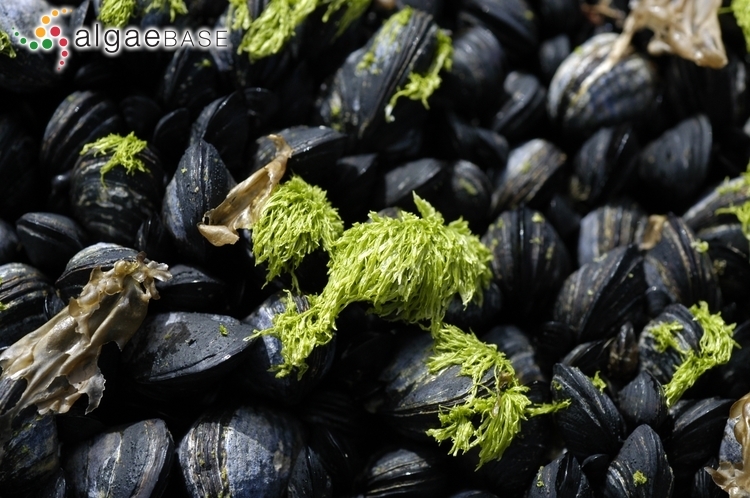 Molecular analysis of Ulva compressa (Chlorophyta, Ulvales) reveals its morphological plasticity, distribution and potential invasiveness on German North Sea and Baltic Sea coasts. European Journal of Phycology 54(1): 102-114. Tan, I.H., Blomster, J., Hansen, G., Leskinen, E., Maggs, C.A., Mann, A., Sluiman, H.J. & Stanhope, M.J. (1999). 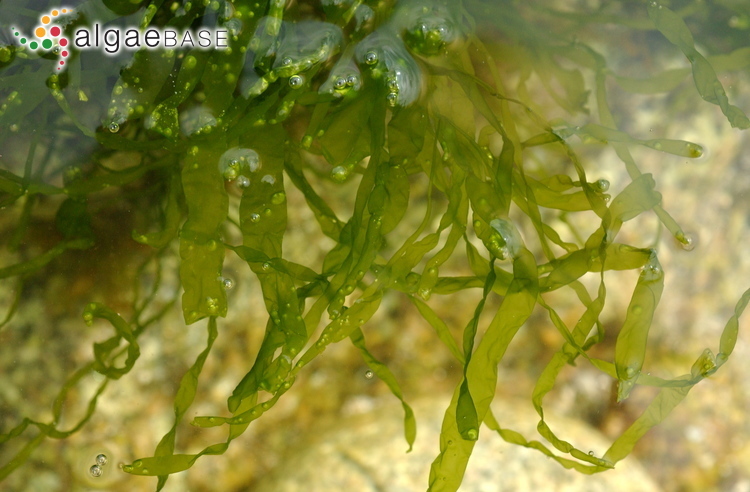 Molecular phylogenetic evidence for a reversible morphogenetic switch controlling the gross morphology of two common genera of green seaweeds, Ulva and Enteromorpha. Molecular Biology and Evolution 16: 1011-1018. Titlyanova, T.V., Titlyanov, E.A., Xia, B. & Bartsch, I. (2012). 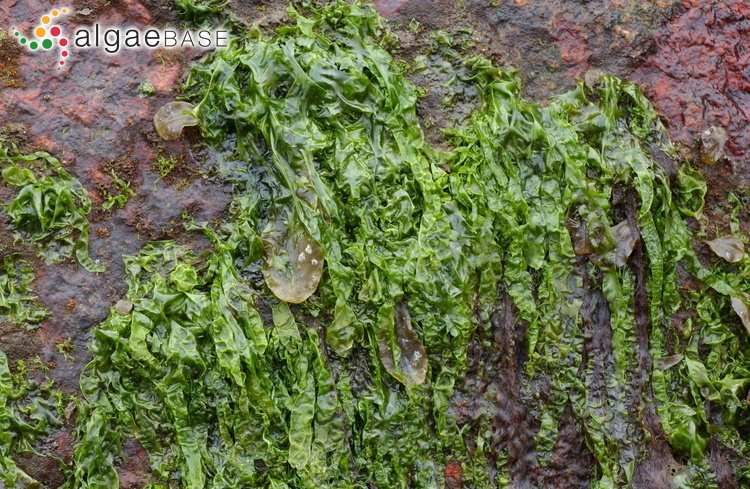 New records of benthic marine green algae (Chlorophyta) for the island of Hainan (China). Nova Hedwigia 94: 441-470. Wolf, M.A., Sciuto, K., Andreoli, C. & Moro, I. (2012). Ulva (Chlorophyta, Ulvales) biodiversity in the North Adriatic Sea (Mediterranean, Italy): cryptic species and new introductions. Journal of Phycology 48(6): 1510-1521. Accesses: This record has been accessed by users 50515 times since it was created. Kagami, Y., Fujishita, M., Matsuyama-Serisawa, K., Yamamoto, M., Kuwano, K., Saga, N. & Kawano, S. (2005). 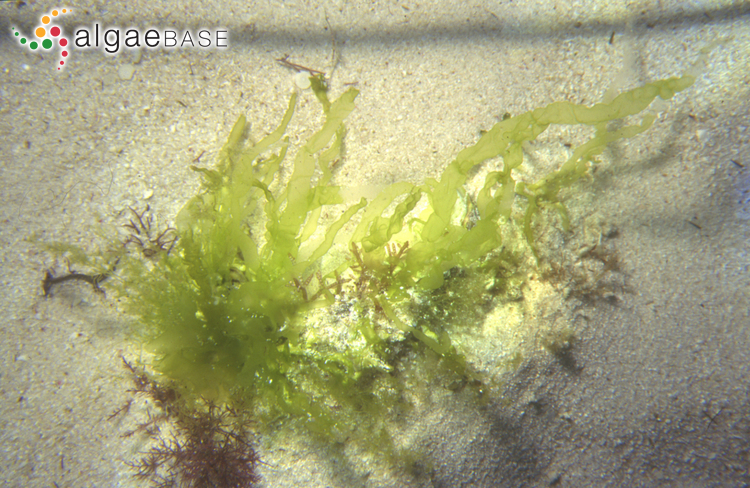 DNA content of Ulva compressa (Ulvales, Chlorophyta) nuclei determined with laser scanning cytometry. Phycological Research 53(1): 77-83. Kagami, Y., Mogi, Y., Arai, T., Yamamoto, M., Kuwano, K. & Kawano, S. (2008). 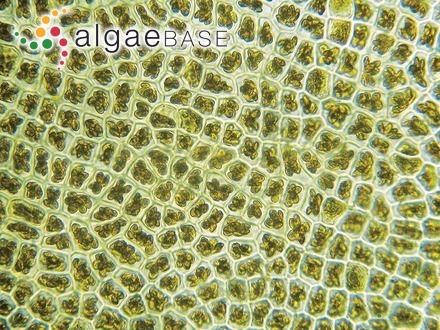 Sexuality and uniparental inheritance of chloroplast DNA in the isogamous green alga Ulva compressa (Ulvophyceae). Journal of Phycology 44: 691-702. Kuwano, K., Abe, N., Nishi, Y., Seno, H., Nishihara, G.N., Iima, M. & Zachleder, V. (2014). 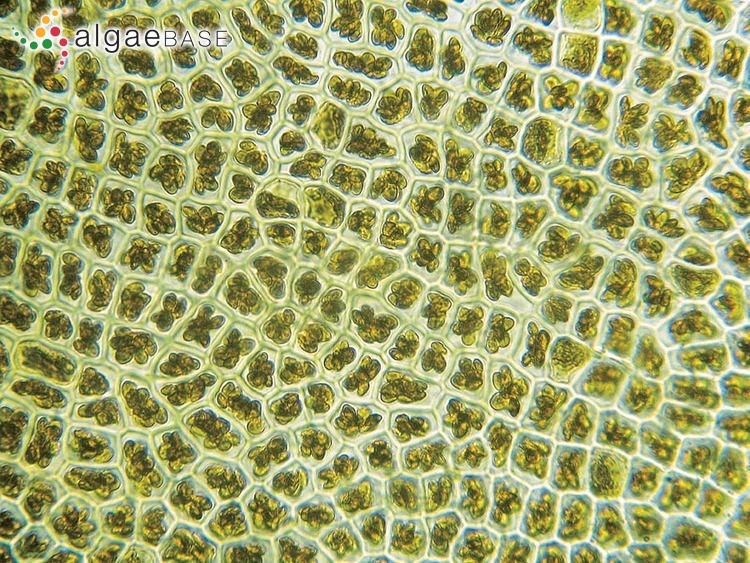 Growth and cell cycle of Ulva compressa (Ulvophyceae) under LED illumination. Journal of Phycology 50(4): 744-752. Kuwano, K., Hashioka, T., Nishihara, G.N. & Iima, M. (2012). Durations of gamete motility and conjugation ability of Ulva compressa (Ulvophyceae). Journal of Phycology 48(2): 394-400. Lahaye, M. & Jegou, D. (1993). 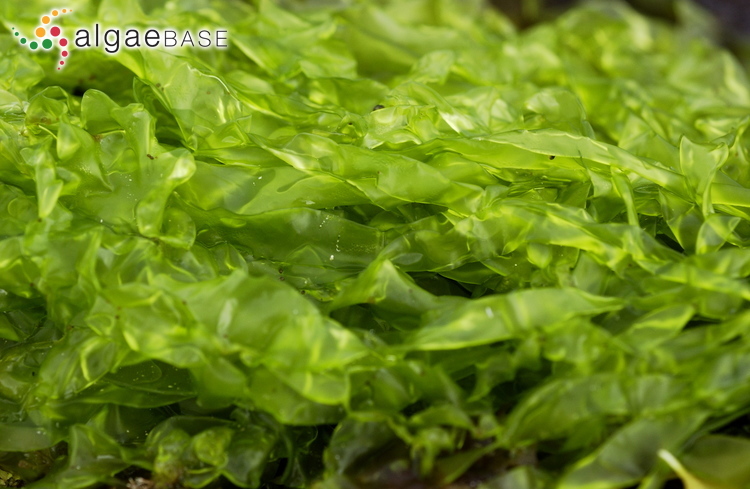 Chemical and physical-chemical characteristics of dietary fibres from Ulva lactuca (L.) Thuret and Enteromorpha compressa (L.) Grev.. Journal of Applied Phycology 5: 195-200. Mogi, Y., Kagami, Y., Kuwano, K., Miyamura, S., Nagumo, T. & Kawano, S. (2008). Asymmetry of eyespot and mating structure position in Ulva compressa (Ulvales, Chlorophyta) revealed by a new field emission scanning electron microscopy method. Journal of Phycology 44: 1290-1299. Percival, E. (1964). 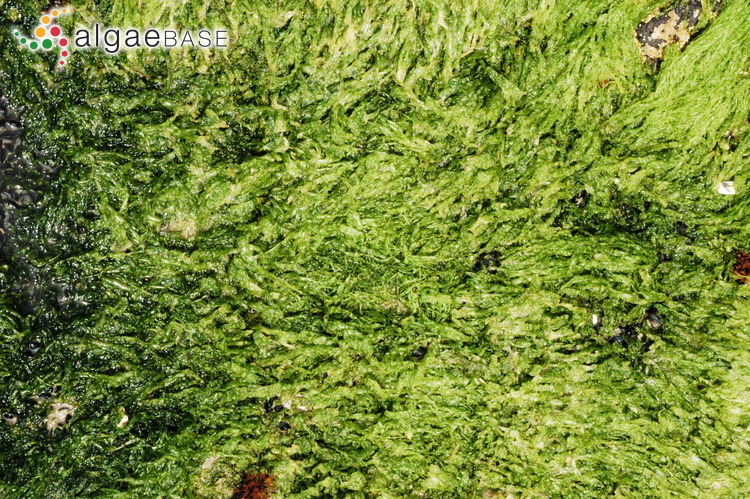 Polysaccharides of the green seaweeds, Ulva lactuca and Enteromorpha compressa. 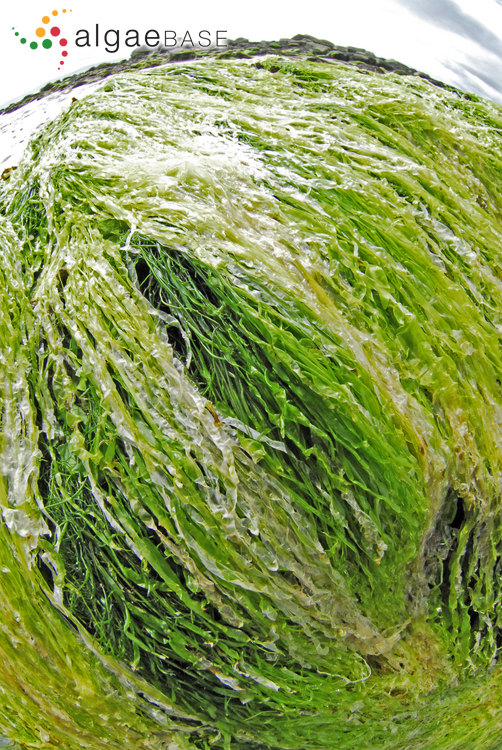 Proceedings of the International Seaweed Symposium 4: 360-365.